Looking for something special for your floor, cabinets or deck? Consider Brazilian walnut, also known as Ipe. It’s an exotic hardwood, hard being key here. It’s beautiful. It will cost more than other hardwood floors, but the investment is worthwhile because of its durability and beauty. It is also known as Ipe. It is one of the hardest and most durable hardwoods in the world with a Janka hardness rating of 3680 and the best choice for hardwood flooring. This beautiful hardwood feature a beautiful blend of browns that adds warmth and beauty to any room in your home. These hardwoods has a very fine grain, which gives floors and cabinets a richness and sophistication unmatched by other woods. This exotic hardwood can also be used in the outdoor spaces of the home, including decks, sunrooms, porches and railing due to its extreme durability and function. It has become one of the best exotic hardwood flooring choices in home remodeling and new home construction for these reasons. Ipe, or Brazilian walnut, is a popular choice in high-end homes and mansions all around the world. The color variations of light tan to dark brown that are found in this hardwood, in addition to the light veining, is what draws many interior designers and homeowners to choose this beautiful exotic hardwood. You can have this same high-end look in your own home to add just the right touch of richness with Brazilian walnut flooring. Imagine walking into your entryway that is composed with this dark and warm wood. It will create just the perfect entrance to welcome family, friends, and visitors. You can find decks, porches, and outdoor living spaces built from this hardwood. These outdoor living spaces are instantly integrated into the home by using this rich and beautiful wood inside and out. This wood is known for being naturally resistant to decay and rot making its use outside worry free. It is also naturally termite resistant. Selecting Brazilian walnut for your flooring is a great choice for any area in or outside of your home. By being one of the hardest woods available your floor will suffer fewer dings, dents, and scratches from normal wear and tear. It is more than two and a half times harder than red and white oak which is one of the most popular and common hardwood flooring used in homes and offices.Also, it has an average stability of 8.0 which is higher than other hardwoods and also difficult saw using hand tools. Of course, getting exotic hardwood of this high quality is not cheap, but the added value you add to your home can make the initial investment well worth it. 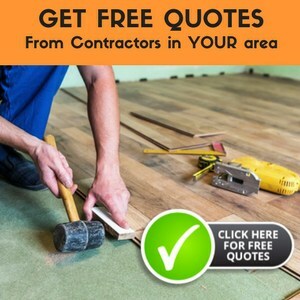 The cost is what turns many homeowners off from buying this the wood for their flooring, but considering it is an investment in your home can help to make this outlay of money make more sense for you and your budget. As it is known for its high durability and having a high rating in Janka hardness scale, it is perfectly suited for areas that has large foot falls. Also, these are well suited for any kind of rooms, unlike other hardwood flooring options. Routine care and maintenance is needed, if you need your Brazilian walnut flooring to look exotic forever. Even they are highly durable, placing mattresses on areas that prone to heavy foot traffic is necessary to prevent any damage to the flooring to a greater extent. Fitting pads under the legs of furniture’s like chairs, stools, sofas will help avoid dents and scratches on the flooring. Weekly cleaning of flooring is required either with vacuum cleaners or with brooms in order to remove the dust and dirt removed from the flooring. Note: there are many different grades of this wood available. The higher the grade, the more “perfect” the floors are considered to be and the more durable that they are. Carefully look at the wood when you are selecting brazilian walnut — no matter what grade — to ensure you are getting the best quality wood your budget will allow. With its beautiful color variations, can add great beauty and richness to your home. It’s hard so durable and a perfect investment that you can live with for a long time. If you click on the link to the right, entitled “Full Archives” you’ll find many other articles about a great variety of flooring types. Computers displaying 800×600 don’t show this unless you scroll over to the right. We bought a home with Brazilian wood floors. Which cleaning products do you recommend . Lucky you! Providing the floors have been sealed well, I’d recommend cleaning with a vinegar/water solution (1 part vinegar to 15 parts water or more). Just use a spray bottle and a microfiber mop. You can go over it again with a dry microfiber mophead to kind of ‘buff’ it.